Are you one of the many people interested in improving your fertility? Perhaps you are wanting to improve your health prior to conception, or maybe you just want to help improve hormone balance and your reproductive system health, whatever the reason may be, for years we have provided a great way to begin doing that! We have helped thousands of couples improve their fertility by educating them about the benefits of Fertility Cleansing and providing an excellent resource to perform a Fertility Cleanse. If you read our newsletters, follow us on social media or have worked one on one with our herbalists, you may have heard all this before. That is okay, reminders are always good! If you are new to our sites and to working with us, you should know that performing a Fertility Cleanse is an excellent first step on your journey toward healthy fertility. Fertility cleansing is a gentle way to help the liver clear away and process excess hormones and toxins, and to encourage the uterus to clear any tissue and blood leftover from previous cycles. The nourishing herbs of the Fertility Cleanse Kit support the liver and uterus in functioning properly, so they are better able to do their jobs. Fertility cleansing aims at reducing excess hormones in the body to help the hormonal system maintain balance through liver support, and to encourage a healthy period each month through improved uterine health. For women who are trying to get pregnant, this is one of the best ways to prepare the body for pregnancy. Men, are you wondering if fertility cleansing is important for you too? Being that our Fertility Cleanse Kit has been on the market since 2007 now, we have had time to see a pattern of questions come in about fertility cleansing. This has prompted us to cover common misconceptions about cleansing for fertility so that you know what you’re getting into, should you choose to take on this health improving herbal cleanse. Fertility Cleansing should not be relied upon alone to bring back a missing period. Why? Well, despite the fact that Fertility Cleansing has brought back some women’s absent cycles, doing a Fertility Cleanse will most likely not be the only thing a woman with an absent period needs to help her promote a healthy, regular menstrual cycle once again. When you are dealing with a fertility health issue, fertility cleansing is but one part of creating a foundation for healthy hormone balance and preparing the body to be able to respond to and utilize other natural therapies better. Wouldn’t it be great if this is all that it took to heal a reproductive health issue?! We truly wish that just as much as you do, but the reality is that Fertility Cleansing is a fertility preparation tool to help the body promote hormone balance and a healthy uterus. We find that fertility cleansing is the best place to begin working to improve your reproductive health and hormone balance, but probably won’t be the only thing that needs to be done in order to change your reproductive health status. Most of our clients begin their journey to improving their reproductive health with a Fertility Cleanse. We have had clients without fertility issues complete a Fertility Cleanse in preparation for conception or just to help maintain the health of their reproductive system. You don’t need to have an irregular menstrual cycle to benefit from fertility cleansing. Over the years, the body is exposed to many environmental toxins, some of which mimic hormones in the body, accelerate cellular damage, and negatively impact health, including the health of the reproductive organs and a woman’s eggs. Many of these toxins are processed through the liver; over time, the liver can become overloaded with these toxins and hormone imbalance ensues. Fertility cleansing helps gently flush toxins from the system to help re-set the hormonal system and improve cellular health. Improving hormone and cellular health is good for anyone, not just those who are wanting to prepare for conception. Cleansing prior to conception is greatly encouraged, nonetheless, so these toxins are dealt with prior to pregnancy, to help a woman reduce her developing baby’s exposure to toxin stores in her body. 1. “I will miss a chance at getting pregnant”. We suggest avoiding trying to conceive while doing the Fertility Cleanse. I know, I know, most women don’t want to miss even once chance of getting pregnant when they are trying for a baby, but the benefits of cleansing prior to conception are too important to the health of your baby and pregnancy to skip. 2. “I don’t have enough time to fit my entire program in before my scheduled IVF.” If you are going to use your own eggs, it takes at least 90 days (3 months) to improve the health of the eggs used for IVF. To ensure optimal egg health, you will need to plan accordingly. Taking the right amount of time to prepare for IVF is going to increase your chances of a successful outcome. 3. “I have a reproductive health issue I am dealing with that needs taken care of prior to me being able to try to conceive, adding in another month-long plan put me months out before I can try to conceive.” That is not entirely true. It is beneficial to the body to work to improve reproductive health prior to conception, so you can help ensure you will have a healthy term pregnancy, and many natural therapies can safely be done while trying to conceive. The Fertility Cleanse is an important foundation to healthy fertility and helps the body to respond to other natural therapies better, helping them to be more effective, so skipping this crucial step may actually be a setback. 4. “I am already taking some herbs and supplements for fertility and you don’t suggest taking them during the Fertility Cleanse.” True in most cases. We don’t think you should begin taking any new herbal formulas (including Chinese herbal formulas) during the Fertility Cleanse, but this is really dependent on a case by case basis. Should you have any questions regarding herbal or nutritional supplements you are currently taking and wish to know if they are safe to continue with the Fertility Cleanse, contact our customer service representatives! Most all nutritional supplements are fine to continue, such as your multivitamin, cod liver oil, antioxidants, etc. We feel fertility cleansing is worth the effort and the wait because of the benefits. Think about what will be best for your fertility health and/or your future pregnancy. We have had some clients conceive directly after completing the Fertility Cleanse, so it can happen. It is highly unlikely that it will though. The rate of conception is different for every couple dependent on diet, health history, stress levels, existing health conditions or imbalances, how well they stick to their program, and how severe their personal fertility issues are. Some women have deep-seated fertility issues that need to be addressed on an individual basis. Regardless, though, the Fertility Cleanse cannot be relied upon alone to achieve a healthy pregnancy, but should be considered as a first step in their path to parenthood. Sometimes we hear, “I don’t think the cleanse worked for me. I didn’t feel anything while doing it.” Many women wonder what signs to look for to know that the Fertility Cleanse is working. Every woman is unique, some say they feel no different, where others report experiencing different, yet normal signs of the body cleansing. Common ways some have shared they know the cleanse is working are that they see a shift in their menstrual cycle, experience relief from occasional menstrual cramps, see an improvement in skin health, improved cervical mucus production, and/or feel a shift in energy levels. Just because someone may not ‘feel’ any different does not mean that the Fertility Cleanse did not work. Some women are more sensitive and in tune with their bodies than others and ‘feel’ a lot, while others will not ‘feel’ anything. Remember, the Fertility Cleanse is supporting the body in its normal functions. In short, don’t skip this important foundational step. Completing a Fertility Cleanse lasts one month or one menstrual cycle, can be combined with a number of other natural therapies and is an important step as you lay the groundwork for your future pregnancy. We feel the Fertility Cleanse will help every person who performs it. Take Time to Improve Your Reproductive Health – You Won’t Regret It! Completing a Fertility Cleanse is one of the best first steps to take to promote a healthy reproductive system, regardless of the reason you are interested in it… from pregnancy preparation, to improving reproductive organ health, or just working to encourage hormone balance once again. The herbs in the Fertility Cleanse will help the body to improve and maintain reproductive function. Your reproductive health plays a major role in your overall health (especially hormone balance), which is extremely important for anyone who is looking to change their health for the better. 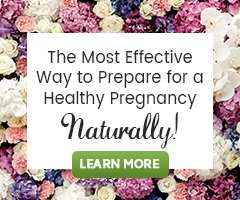 If you are preparing for pregnancy, the steps you take today are going to impact the health of your future child, that alone is a great reason to consider fertility cleansing. What if I get pregnant during the cleanse (or was pregnant and didn’t realize)? I assume I stop everything immediately? Will it negatively affect my pregnancy? Same questions regarding the Ova kit – also, is it okay to do these two things together (fertility cleanse and ova kit? Why/why not?) Thanks!!!!!!!!!!!!! First, we suggest not ttc while doing the Fertility Cleanse. It is best to take that month off… With that is you did and you think you may be pregnant, you are correct, just stop using the Fertility Cleanse Products and try not to worry. After conception, it takes 6-10 days up to 2 weeks for the embryo to travel to implant in the uterus (hence the two week wait). During this time the embryo isn’t receiving any nutrients or toxins (nothing) from the mother. The OvaWise Kit can be used while actively trying to conceive and products discontinued upon first determination of pregnancy. This is fine! The Fertility Cleanse Kit and OvaWise Kit can be used together. This too is fine! Do you have to start the cleanse in phase 1? Or do you start the cleanse based on what cycle Day you are on when you receive it? Can I start it in phase 2 if I have not started my period yet and then continue with phase 1? We feel the Fertility Cleanse is most effective when you begin Phase 1 the day after menstruation ends and and follow the instructions beginning Phase 2 after using Phase 1 for 12 days or so. It is no ideal to start the cleanse with Phase 2. I have been on a Chinese herbal cleanse. How long do I give myself before taking the Fertility Cleanse as you have mentioned I should not mix the two. In general, it is best to wait around 6 months between cleanses. How often can you do the fertility cleanse? The Fertilica Fertility Cleanse can be used two times a year with about a six month break between cleanses.